The number of responses to calls for public comments on the Political Party Funding Act, which forces parties to disclose private funding, has led to a delay in the implementation of the legislation. 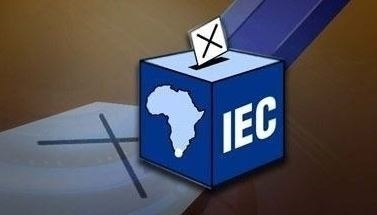 The Electoral Commission of South Africa (IEC) received more than 5 000 public comment submissions, following the publication of draft regulations. As a result, the implementation of the act has been postponed. IEC deputy chief electoral officer Masego Sheburi made the announcement on Thursday - mere weeks away from the 2019 general elections. "It is the view of the commission that since we are entering unchartered territory, we need to proceed with caution and consider all the submissions that have been made by interested persons," said Sheburi. "The commission will imminently convene a public hearing at which those persons who made submissions will be invited to make oral submissions and also hear expert evidence and other jurisdictions that have implemented political party funding [acts]." Sheburi added that the IEC remained committed to giving expression to the requirements of the new act. Chief electoral officer Sy Mamabolo previously said that the new legislation would most likely not take effect before the elections. Initially, the IEC envisaged that the act would be implemented in a staggered process from April 1. Political parties who contravene the act could face a fine of up to R1m or 30% of the party's income - whichever is highest. In terms of the new act, a donation of less than R100 000 doesn't need to be declared and there is a cap of R15m that one person can donate to a party per year. The act also states that no political party may accept a donation that it knows, or ought reasonably to have known, originates from the proceeds of crime.